Lymphedema is… I don’t even know what to call it…so, funky lymphedema it is. In a nutshell, it is a painful accumulation of fluid in an extremity, and it is incurable. You may recall hearing about it in the news recently, when Kathy Bates became an advocate for people suffering with lymphedema. When I first heard about lymphedema early on in this journey, it was one of the things I actually feared most. The symptoms of lymphedema include painful swelling, skin changes, heaviness, and fatigue in the affected limb. My fear was that this condition would prevent me from doing the things that I love most. 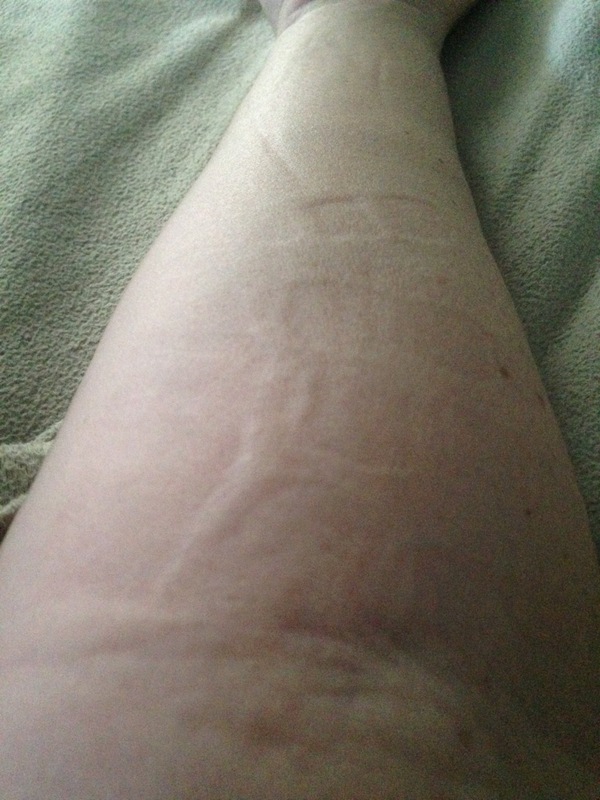 Despite my fears, I started experiencing the symptoms of lymphedema back in January, as a result of the skin infection (cellulitis) I developed in the area of my surgical scar. There are a number of reasons why women battling breast cancer develop lymphedema. I have a combination of all of the causes, so, to say that I was at high risk for developing lymphedema is an understatement. It can result from mastectomy surgery, especially if lymph nodes are removed. Radiation targeted at the remaining nodes does further damage to the lymphatic system. Finally, infection to the area with the compromised lymphatic system can be very difficult to clear from the affected extremity. Naturally, having ticked all of these conditions off my list, I was primed to develop lymphedema. The purpose of the lymph nodes is to filter proteins and fluids from the lymphatic system. When the damaged (or absent) lymph nodes can’t keep up with this function, the result is fluid buildup in the extremity, in my case, my right arm. My arm was slowly puffing up like a water balloon. My kids found it entertaining to press on my arm and watch the indentation of their fingerprints linger for several minutes. An oddity, yes, but I was not amused. Mainly because simply lifting my arm left me feeling like I had done a hundred reps with heavy weights. And the pain of axillary web syndrome also returned to my arm. The only way to reduce the swelling has involved ongoing physical therapy over the past two months to try to reduce the swelling and return my arm to its normal size and strength, as well as daily wrapping to prevent additional fluid from accumulating. I was doing pretty well. 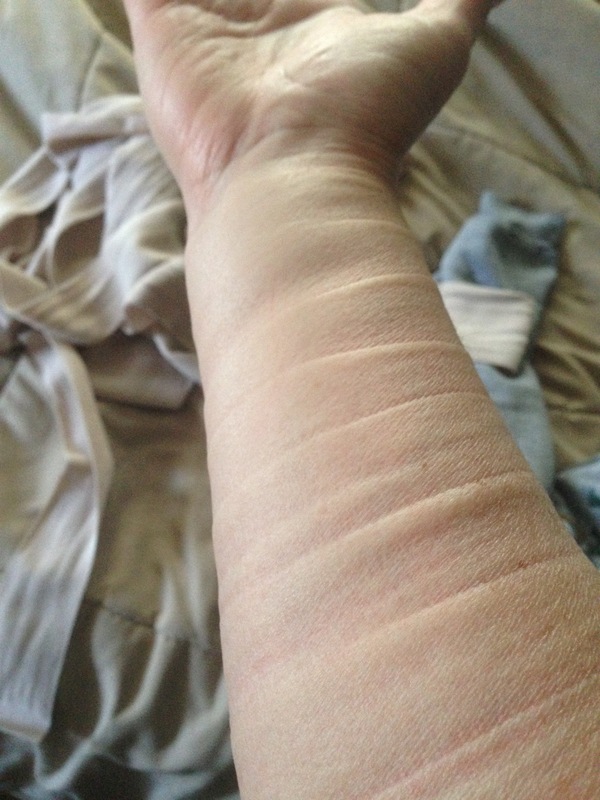 With the help of the lymphapress (think of a sleeve with about 8 air chambers that fill with air in sequence to squeeze the excess fluid into my veins where it can be carried out of my arm), my arm was returning to normal, and feeling better. With months of physical therapy, my arm was almost back to normal, when a miniscule scratch turned into full blown cellulitis. I caught it early and was put right back on the antibiotics. After a 10 day course of antibiotics, it cleared up, but as soon as I went off the antibiotics, I developed another area of cellulitis on my forearm, completely out of the blue. So, back on antibiotics. Once again, after my latest surgery, I am facing more pain and swelling in my arm. Sadly, there is no cure for lymphedema. I will forever have to protect my arm. I have to avoid scratches, bites, blisters, sunburn, etc. to my arms. I will forever have to wear a compression garment, wrap my arm when swelling begins, and carry antibiotics. I will forever have to face questions such as, “what did you do to your arm?” I’m still working out how to answer those questions. I didn’t DO anything to my arm. On second thought, maybe I did. It’s the small sacrifice I made to rid cancer from my body. What I have learned in the last few months trying to control the lymphedema, is that I don’t have to fear it. I will not allow it to prevent me from doing to things that I love. It’s just one more reminder that I need to remain diligent and make my health a primary focus. I need to work a little harder now to grow strong, and implement healthier choices into my life. 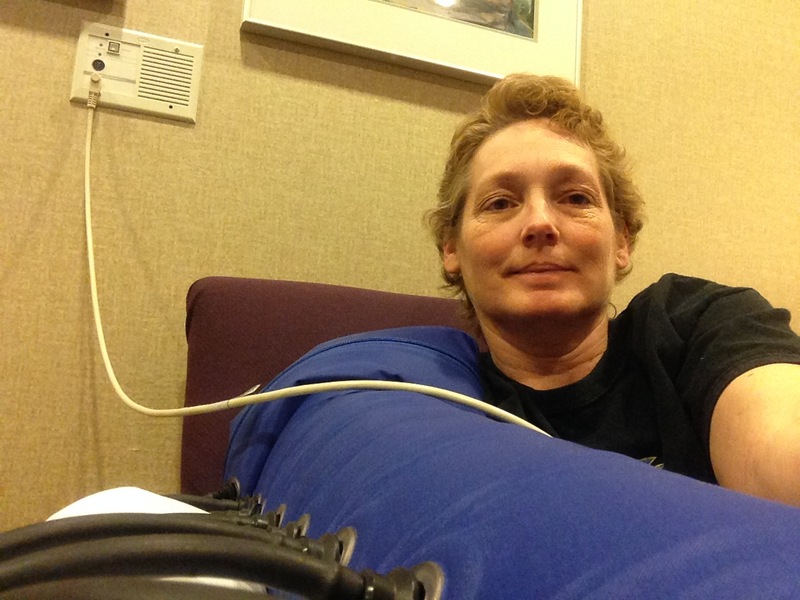 I feel assured that the more active and stronger I become, the easier it will be to control the lymphedema.